MORE screens than a sports bar. 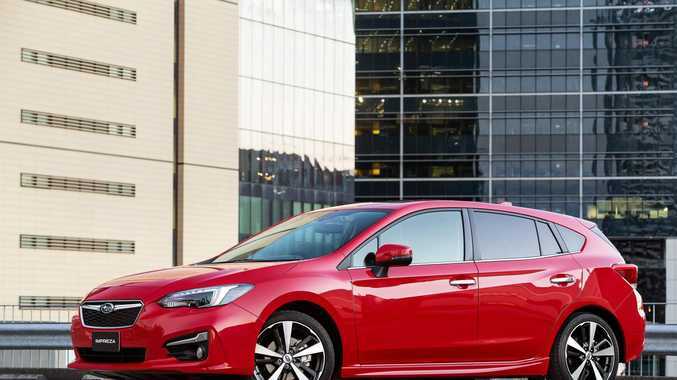 That was our first impression of Subaru's new Impreza hatch. Apart from the centre screen, there's another atop the dash and a display between the speedo and tacho. There'd be cockpits of passenger planes with less sensory overload. If I'd handed back our new long-termer after a week, the layout would have got the thumbs down - but after spending some time behind the wheel I've grown accustomed to the set-up. The music menu sits on top, there's satnav on the main screen and the trip computer is in front of me, as well as the digital speedo. The speedo display includes traffic-sign recognition that picks up the changes in speed limits accurately, including school zones, although these stay on during school holidays - better safe than sorry. Overall the cabin is a serene place for the daily commute. 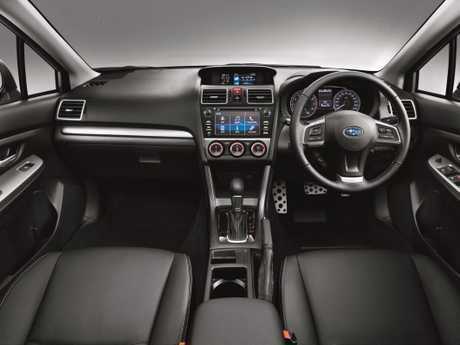 The materials are high quality, the seats comfortable and vision is good all round. It also has an array of standard driver aids that would put some luxury makes to shame. Using radar and cameras it can maintain a safe distance to the car in front on the freeway, as well as detect potential impacts with pedestrians, cyclists and other cars - and slam on the brakes to avoid or mitigate a crash. 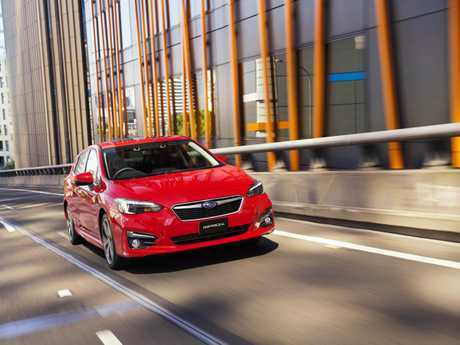 The suspension does a good job of soaking up bumps, although the larger diameter wheels and lower profile tyres don't deliver the magic carpet ride of cheaper models in the Impreza range. The main gripe with the Impreza at the moment is the engine-transmission combination. Continuously variable transmissions, which don't change gears as a conventional auto would, leave me cold. The Subaru's doesn't drone as noticeably as others but in bumper to bumper traffic it is jerky when you apply light pressure to the accelerator. The engine is no marvel of modern engineering, either, with only adequate acceleration off the mark. Overall, the Impreza gets the thumbs up so far.